RAYMOND "RAY" B. HACKETT age 88 of 45 Stanley Street, Mount Morris, New York, died peacefully surrounded by his family on July 3, 2018 at his home. He was born the son of John M. and Jeannetta (Roderick) Hackett on December 13, 1929, in Mount Morris, New York where he was a life resident of Mount Morris. He was the co-owner of John M. Hackett & Sons Plumbing and Heating in Mount Morris along with his Brother Jack for nearly 50 years. He was a member of St. Patrick’s Church in Mount Morris. 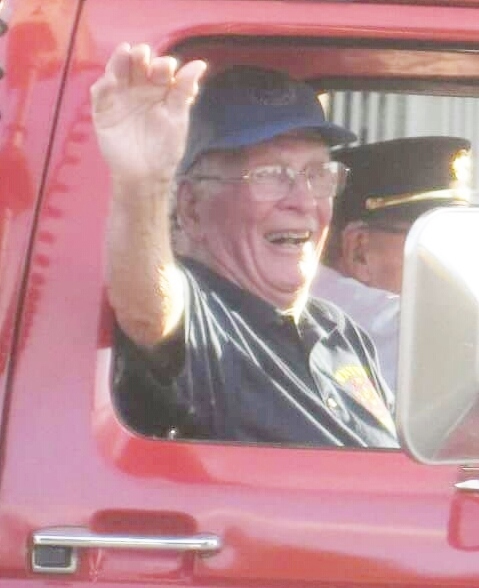 He was a member of the Active Hose Company of the Mount Morris Fire Department for over 65 years. Raymond enjoyed wood working and working on many projects in his wood working shop, especially making many projects for his children, such as benches, stools, display cases, or anything that needed to be built or repaired, such as his and his children’s homes. He was a passionate St. Louis Cardinal's Fan, and really enjoyed going to his grandchildren’s sporting events. He was predeceased by his brother and business partner Jack Hackett in 2010 He is survived by his loving wife Jeanne Hackett; 3 daughters; Erinn (Guy) Brickwood, Erica (Joel) Mike and Monica (Mike) Brill all of Mt. Morris, 6 Grandchildren; Michael (Fiancée Bailee Goodon) Brill of Syracuse, Sarah Brill of Mt. Morris, Colin and Emma Brickwood and Chloe and Emily Mike all of Mt. Morris, and a sister-in-law. Several nieces, nephews and many dear and loving friends. Friends may call Sunday from 1-3 pm at the JOHN W. MARTIN FUNERAL HOME, 37 Chapel Street, (Route 408), Mount Morris. His Funeral Mass will be celebrated on Monday at St. Patrick’s Church at 10:00 am. Interment in St. Patrick’s Cemetery, Mount Morris, NY. In lieu of flowers, memorials may be made to Mount Morris Fire Department, PO Box 127, Mount Morris, NY 14510, or The Rochester School for the Deaf, 1545 St. Paul Street, Rochester, NY 14621. A firemen’s service will be held Sunday at 3:00 pm. Sign the online registry at www.johnwmartinfuneralhome.com.